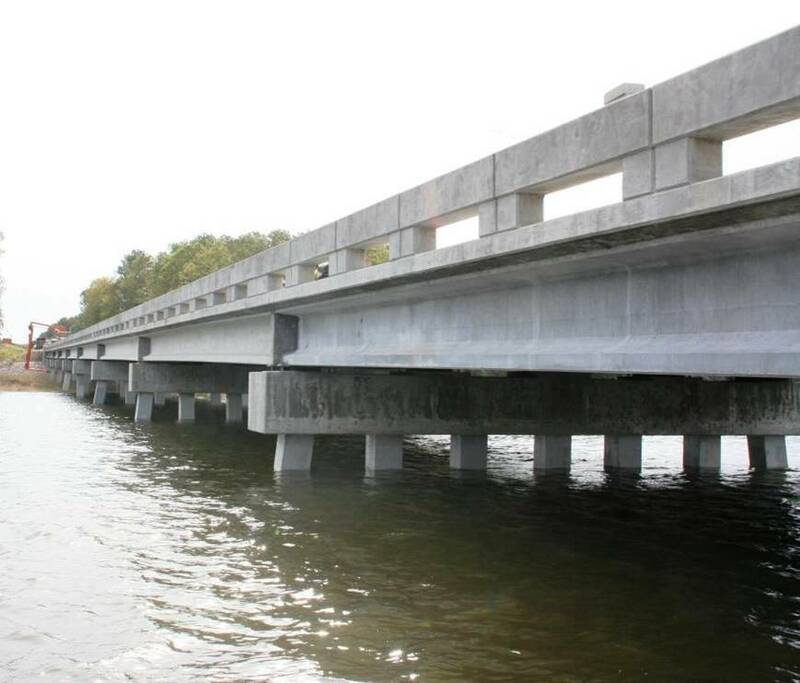 The Cat Point Creek Bridge in Richmond County, Virginia, is a superstructure that features five 24 m girders made of Ductal®, produced by Bayshore Concrete Products for the Virginia Department of Transport and the Federal Highway Administration. The bridge, which carries approximately 2,200 vehicles per day, features I-shaped (or bulb-tee) girders and a conventional cast-in-place deck. It is an excellent illustration of how Ductal® can be used to make thinner, lighter bridge girders (without stirrups for shear) that are extremely durable and built to last.